A stroke brain injury can result from numerous medical conditions, treatment errors, and accidents. A stroke can be caused by the negligence of another in their failure to adequately treat and continuously monitor the condition (e.g. from a tumor or bleeding in the brain). Ischemic Stroke – An artery blocked with a fatty deposit or blood clot lodging in the artery causes an ischemic stroke. The blockage prevents adequate supplies of blood and oxygen to the brain causing the death of brain tissue. Hemorrhagic Stroke – This type of stroke is caused when blood bleeds into the brain, which often induces scarring, irritation and death of brain tissue. When blood vessels rupture during a hemorrhagic stroke, brain tissue can become irritated, swell and eventually scar, causing seizures. Hemorrhagic strokes are classified as an intracerebral hemorrhage where bleeding occurs inside the brain tissue, and subarachnoid hemorrhage, where brain bleeding occurs in the middle and inner layers of tissue that covers the brain. Often times, anticoagulant medication use increases the development of a hemorrhagic stroke. Transient Ischemic Attacks – Often referred to as a mini-stroke, a TIA (transient ischemic attack temporarily disrupts brain functions. This is often caused by a brief block of blood supply when a fatty deposit or blood clot becomes lodged in an artery. TIAs are usually a common "red flag" of an impending traditional ischemic stroke. Individuals suffering a TIA are a thousand percent more likely to experience a stroke compared to the general population. Strokes in the United States remain the third cause of death in men and women, claiming over 150,000 lives every year, with 600,000 people affected by the condition. Though strokes are more deadly in females, they are slightly more common in males. Approximately 2/3 of all strokes every year affect individuals 65 years and older. Strokes are often the result of specific prescription drug use or by a traumatic accident. Many men and women have experienced a stroke by taking non-steroid anti-inflammatory drugs (NSAIDs), aspirin, and a birth control patch. 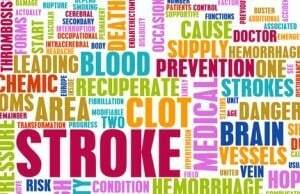 In addition, medications used to treat a variety of medical conditions are known to bring about stroke. This includes treatments for anemia, macular degeneration, osteoporosis, colorectal cancer, breast cancer prevention, and irritable bowel syndrome. Any individual experiencing the signs and symptoms of a stroke require immediate medical attention. This is because early treatment minimizes the loss of sensation and function. Initiating effective treatment within the first few hours of a stroke onset can mitigate much of the severe damage and loss of function caused by stroke. Often times, health care providers misdiagnose strokes, or diagnose the medical condition long after permanent symptoms cause extensive physical and mental impairment. This medical negligence or medical malpractice often leaves the victim with lifelong problems that include muscle spasticity and stiffness, paralysis, or permanent challenges with movement and/or speech. If you, or your loved one, is suffering after having a stroke caused by a prescription drug, medical malpractice or major traumatic accident, it is imperative to hire a stroke brain injury lawyer. You are likely entitled to receive financial recompense for your suffering and losses. Rosenfeld Injury Lawyers LLC handle stroke brain injuries and can evaluate your claim to determine your legal options and rights. Your competent stroke brain injury lawyer can offer free review of your claim, on a contingency basis, without any upfront fees. Call (888) 424-5757 today.